The TC Office Start beech finish deluxe 4 drawer filing cabinet features a 5 year manufacturers guarantee, lockable drawers and modern chrome handles. Designed for office use the Start filing cabinet has a 25mm thick unit top, 2mm edge band and accuride document hanging rails. 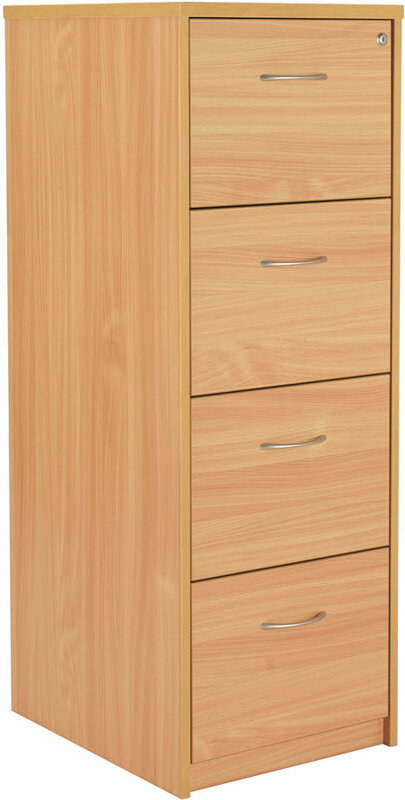 The Deluxe beech Start filing cabinet is supplied with 2 keys to secure the top drawer.